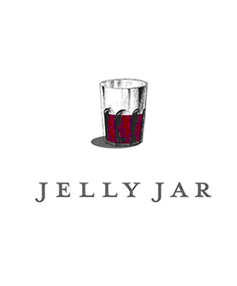 Jelly Jar marks a return to early California winemaking, when Italian immigrants crafted food-friendly wines to enjoy around the family table – most often out of jelly jars. Long before Napa Valley became the wine destination we know today, these winemakers planted backyard vineyards and enlisted family members to harvest and crush grapes. As a fourth-generation winemaker, whose roots run deep in the Napa Valley, Andy Pestoni inherited his ancestors’ love of wine and crafts Jelly Jar with profound understanding. He knows how to enhance the unique character of grapes from single vineyard sites he has hand-chosen. And like the wines from the turn of the century, Jelly Jar is a true family endeavor. The western portion of Lake County is part of the North Coast AVA. It encompasses the Clear Lake AVA, which in itself has 168,900 acres of land, the Red Hills Lake County AVA and High Valley AVA. Within Lake County, a total of 8,530 acres are planted to winegrapes. Cabernet Sauvignon is the most planted variety with 3,300 acres. Sauvignon Blanc is the second with 1,790 acres. The vineyards are planted throughout the county, from the agriculturally rich valley at 1,370 feet elevation (lake level), to the rocky red volcanic soil at more than 2,000 feet elevation around Mt. Konocti—a dormant volcano in the Pacific Rim chain. These elevations provide cooler winter conditions and a later start to the growing season. Lake County growers are committed to sustainable farming and participate in year long educational programs to this end.